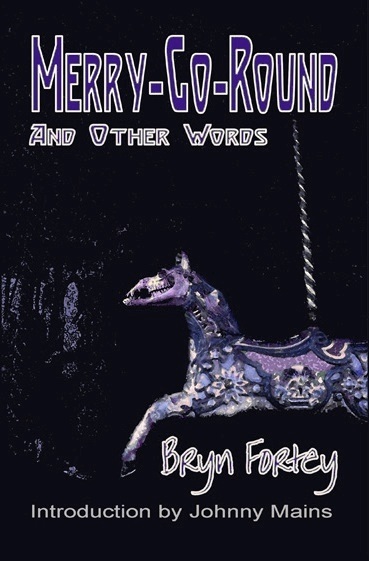 Merry-Go-Round and Other Words by Bryn Fortey collects the best from the author’s oeuvre, from his first horror story publication to stories appearing here for the first time. The contents range from across the horror and science fiction fields, with a bit between.Merry-Go-Round also includes his heart-felt poetry. This limited edition hardcover comes with a moving tribute by Johnny Mains and an extra, brand new story. An essential collection. Limited to just 60 signed (by Bryn Fortey) and numbered copies. Information on the paperback edition can be found here. Now only £15.00 including postage in the UK. “This fine anthology reaches back to the very start of his writing career, renews our connection with the best of the years between, and presents a handful of new previously unseen gems. In total, it’s frighteningly good, an invaluable volume.” — Andrew Darlington,The Zone.